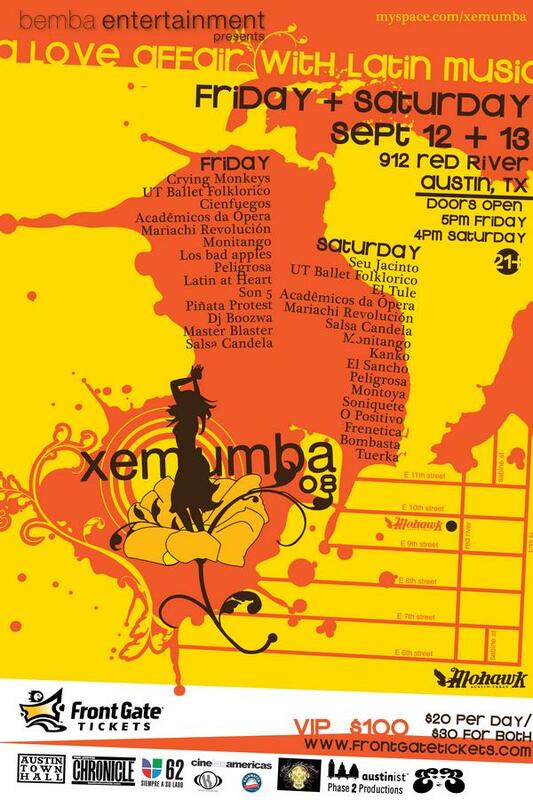 Our friends at Bemba Entertainment have finalized the lineup and are now selling passes to the second annual Xemumba festival going down at The Mohawk in Austin. If you weren’t in attendance last year, the event highlights the best artists currently tearing things up in Latin and South America (artist list can be seen on the fancy flier). 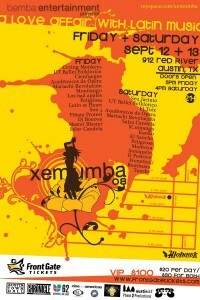 This year, Xemumba has been expanded to a two day event on Sep. 12th and 13th with two day passes a mere $30 & single day passes $20. Don’t fret if you’re one of those people holding down a nine to fiver, doors for the festival don’t open on Friday until 5pm! 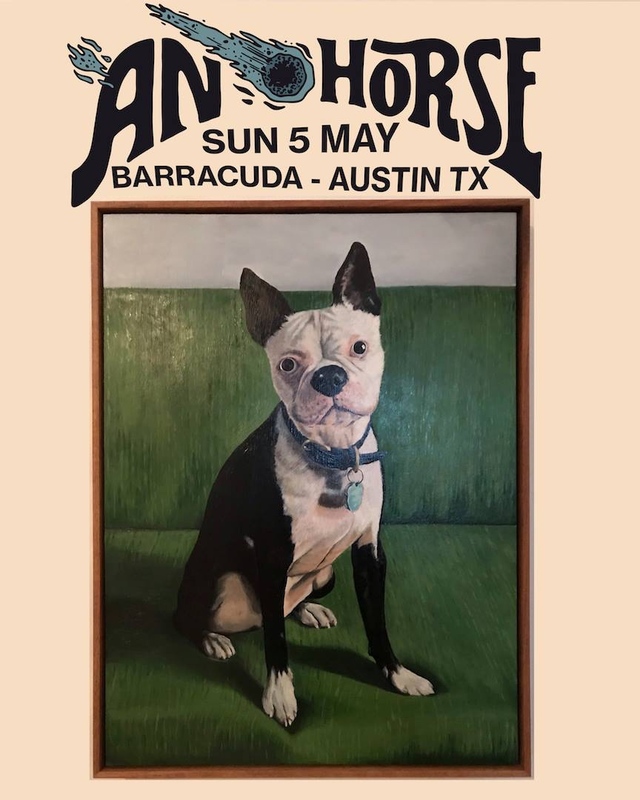 You can also help promote this sure to be stellar event by adding Xemumba as a friend on facebook or myspace & liking the event on do512. Purchase your tickets now! Be on the lookout for exclusive mp3s, photos, and bios of artists performing at this year’s festival. Contact Brandon with Bemba Entertainment if your interested in street teaming it.